One of the most common mistakes after a car accident is failing to seek medical attention soon after auto injury. On the scene of the car accident, you might be too preoccupied with assessing vehicle damage and insurance information to actually evaluate whether or not you're okay. The next morning when the adrenaline subsides, you may wake up with new aches and pain. New symptoms like headache, neck pain, and dizziness may start to develop over the coming weeks. 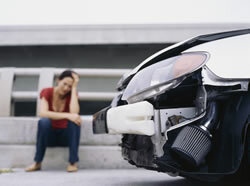 Auto injuries can even lead to problems years down the line if left untreated. That's why it's important to seek consultation from a chiropractor as soon as possible after an auto accident. This can help to prevent chronic symptoms, in addition to beginning the process of establishing an insurance claim. At Advanced Spine and Rehabilitation, our Henderson chiropractors specialize in the diagnosis and treatment of auto injuries. As a chiropractic orthopedist, Dr. Roger Russell has extensive training in whiplash mechanics, post-traumatic fibromyalgia, facet joint pain, and more. He, Dr. Alexander Jana, and Dr. Troy Russell have helped thousands of patients in Henderson and Las Vegas successfully recover after auto accidents. 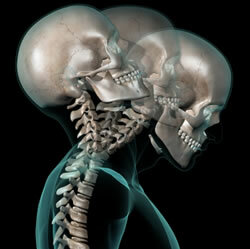 Neck pain affects up to 90% of auto injury patients. While some people experience neck soreness that subsides in a few days or weeks, others may have sustained a whiplash or facet joint injury. It is common for whiplash patients to also experience cervicogenic headache, shoulder pain, upper back pain, and dizziness in addition to their neck symptoms. During a rear-end collision, your body is thrust backwards as your neck is propelled forward, creating shear forces that stretch, strain, and tear the ligaments, tendons, and joints of the neck. The forces of an auto accident can cause the car seat to rapidly straighten and compress the lumbar spine. This may result in disc herniation, pinched nerves, or muscle strain in the lower back. Painful symptoms in the upper back may also be tied to shoulder injuries or whiplash. The most common type of headache experienced after auto accidents is cervicogenic headache, caused by nerve impingement or ligament injuries in the cervical spine (neck). Tension headache may also arise due to muscle spasms and stress. Some patients may also have an exacerbation of migraine headache after auto collisions. Headaches may also be a sign of a more serious condition such as vertebral artery injury or brain injury, so it's imperative to get your symptoms checked by a chiropractor. Additionally, our Henderson chiropractors often treat shoulder injuries, rotator cuff injuries, facet joint injuries, and assist in brain injury diagnosis after car accidents. Medical studies have shown that chiropractic is a safe and effective method of relieving headache, back pain, neck pain, and a number of other symptoms associated with auto accidents. Chiropractic adjustments can ease pressure on any impinged nerves and relieve tension in injured tissues. Myofascial release, massage, exercise therapies, and vertebral axial decompression can also support the process of recovery. Our Henderson chiropractors start with the most conservative option first before progressing to more invasive procedures if needed. This treatment approach has proven to be successful for alleviating auto injury pain in our patients in Henderson and Las Vegas, NV. If you've been injured a car accident in Henderson or Las Vegas, our chiropractors can deliver effective, individualized treatment to get you back on the road to health. 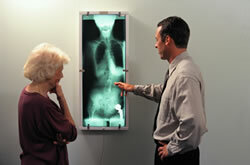 Contact Advanced Spine and Rehabilitation for relief from auto injuries today.